Definition: An aggressive odontogenic epithelium neoplasm that is locally invasive. Location: Posterior mandible and ramus (most common) but can occur anywhere in the maxilla or mandible. Shape: Round to no identifiable shape. Internal: Radiolucent (unilocular or multilocular). When multilocular it is said to have a ‘honeycomb’ or ‘soap bubble’ appearance. Other: Tendency to cause resorption of the adjacent teeth and expansion of jaw. 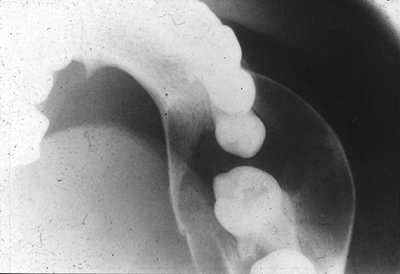 hi, if the roots associated with the lesion are resorped (at the border), why is the tooth inside the lesion is not?! 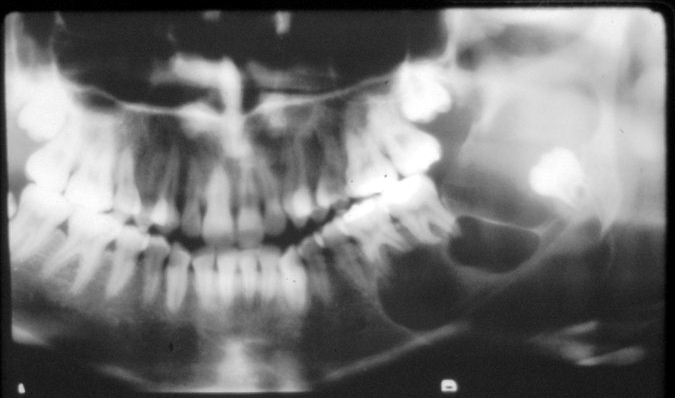 If you are referring to the third molar in the ramus, it is not in the lesion but is being displaced posteriorly. 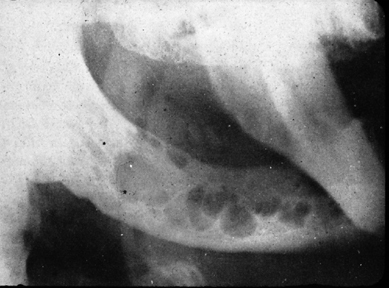 The other molars that have the roots resorbed are being resorbed as the lesion is pushing on them but again the teeth are not inside the lesion. Is this what you are asking about?